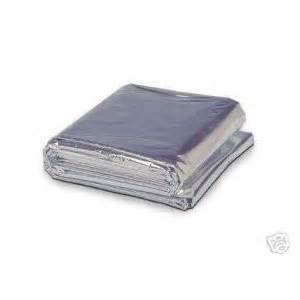 Emergency Blanket:84"x52" Solar Blanket, retains 90% of your body heat. Emergency Blanket 84" x 52". Solar blankets retain 90% of your body heat and can be used as ground cover or a shield from the elements.